Ever wanted to play a latin CD at a barbecue or party that represented all styles not just purely salsa or samba? Something that moved around, from Brasil to Cuba, Colombia to Spanish Harlem, old school to modern? Well now you can. Welcome to Planet Latino! 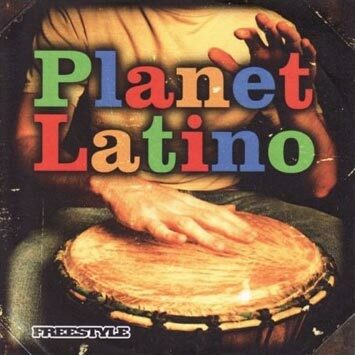 Freestyle Records' first latin compilation Planet Latino is released on (insert release date here). Co-compilers are Lubi Jovanovic (Fania Records/Straight No Chaser), one of the UK's leading latin music experts, and Simon Hodge (BBC 6 Music Funk & Soul Show/Nascente Records), the pioneer of latin music in Scotland. It represents their popular BBC Radio Scotland show Planet Latino and covers the full spectrum of contemporary latin beats. From the traditional to the leftfield - samba, latin jazz, bhangra salsa, urban latino, Cuban timba, bossa nova, mambo and even latin drum & bass! Quality latin music for club, car or couch! World class artists including Luisito Quintero (Masters At Work), Quantic, Spanish Harlem Orchestra (2003 Grammy Award winners), Aloe Blacc (with a salsa cover of John Legend's 'Ordinary People'), Negrocan (exclusive unreleased Snowboy remix), Bobby Matos (Cubop Records), Big Bang, Sirius B, Alex Wilson, Andy & Larry Harlow, Manteca (exclusive drum & bass remix), Long John Oliva, La Excelencia, Cubana Bop and Rumba Caliente (previously unreleased track). A perfect mix of dance tracks and lounge numbers that will be popular with everyone - from DJs to diners, salsa dancers to jazzheads. Single CD release plus limited 12" vinyl sampler available end of October. (www.freestylerecords.co.uk for info).